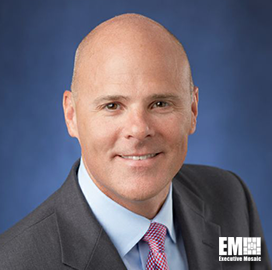 Don Godwin, chief financial officer of Hitachi Data Systems‘ federal business, will officially join Huntington Ingalls Industries (NYSE: HII) on Sept. 5 as CFO and vice president of business management at the company’s Newport News Shipbuilding division. He will bring more than 20 years of finance and business management experience to his next position and succeed Mike Helpinstill, who will transition to a new role as VP of strategic transactions at HII, the company said Tuesday. Newport News Shipbuilding President Jennifer Boykin said she believes Godwin’s external perspective will help drive the company’s shipbuilding business transformation efforts. Prior to HDS Federal, Godwin served as CFO of the critical networks business at Harris (NYSE: HRS) and the information systems unit of Exelis, which Harris acquired in 2015. The certified public accountant earned his bachelor’s degree in finance from Virginia Tech.